Chris has been kayaking, canoeing and coaching for the last 15 years and runs his own business Chris Brain Coaching, delivering paddlesport coaching, safety and rescue courses and REC First aid training. 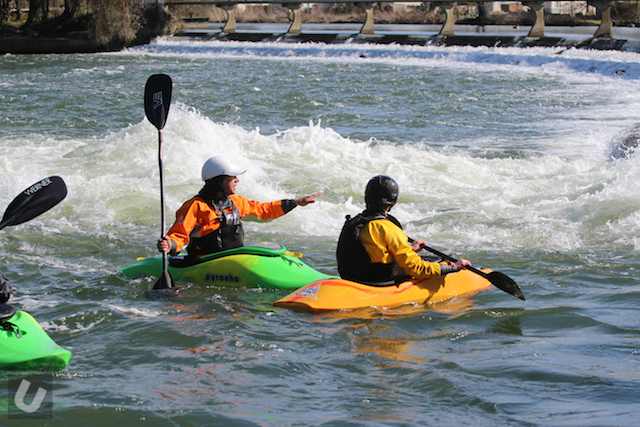 Chris is a keen and passionate boater with a real love for coaching in a range of paddlesport disciplines. I first started paddling when I was 15 after my Dad and I inherited two 4 meter long fiberglass kayaks that had been retired by the fire brigade! We took them down to our local river, wearing life jackets that didn’t fit and our cycling helmets. When we arrived at the river we clearly didn’t look like we knew what we were doing as the local paddlers suggested that for our own safety we took some lessons instead! That was sound advice and the coaches at the activity centre started to show us the way, at least we were paddling plastic boats and wearing kayaking equipment that actually fitted us. I was being taught by some great paddlers that had the latest boats at the time, either the Acrobat 270 (if they were into freestyle) or Microbat 230 (if there were serious about their creeking) they were so cool! 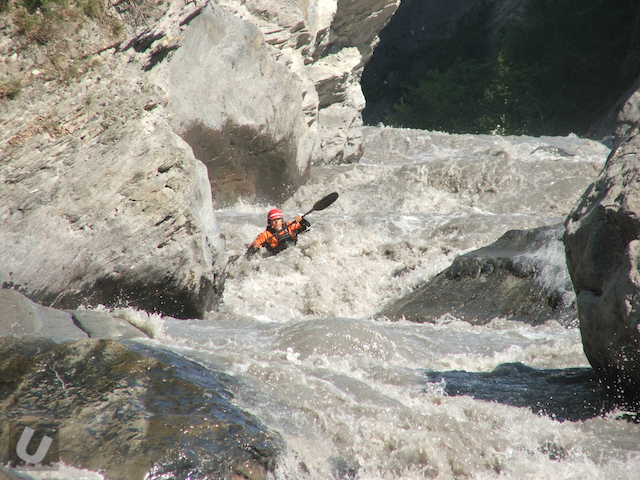 I instantly became captivated with paddling and pretty quickly I was in the river giving it my best. I managed to get someone to lend me a “rodeo” boat and started trying to tail squirt and do bow enders and pirouettes before I could even roll, basically every time the boat went over I had to swim. I think my record of swimming was 15 times in one session, but I quickly cut that number down the next few times on the water as my roll improved. A bright pink euro kayaks probe (it was basically a copy of the Eskimo Topo/Spud.) I was kind of embarrassed to be paddling a pink boat, so I bought some orange spray paint and changed the colour. One thing I didn’t realise though was the paint would scratch off when it went in the river, so it pretty quickly looked an pink and orange mess! It’s interesting that you mentioned “nailing the third end” because when I started out I was really into my freestyle because it was easier to when you didn’t have your own car. Getting 3 ends at one point really was the holy grail for me and once I could do it consistently, my paddling took off from there. I also wish I had realised sooner that trying to use the same boat for freestyle as you do for your harder river runs is not always the best plan. I think I would have got onto harder water sooner if I had got a creek boat earlier in my paddling career. 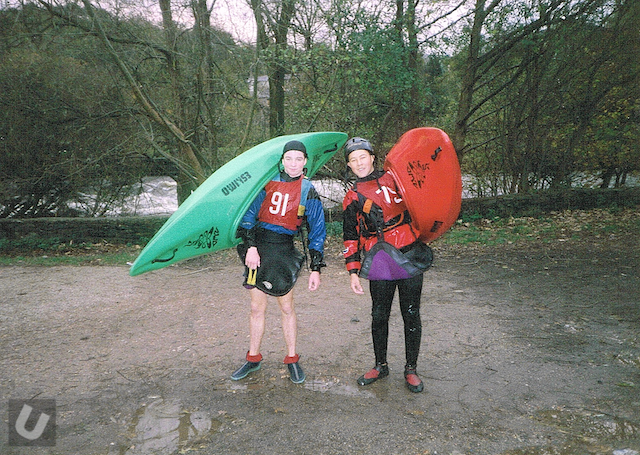 However I am talking about a period in paddlesport where most boaters were using freestyle and crossover designs for everything apart from steep waterfall paddling and it wasn’t really the norm to own 2 boats (or more) like I do now. I think what has kept me in the sport is having a good understanding of what I like about the sport and making sure that it keeps meeting my needs. I like to travel and explore and I love a good adventure. 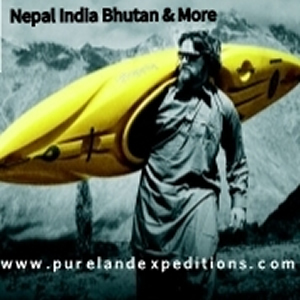 The journeying element for me is really important too, I enjoy going from A to B. I also really like the fact that to improve in paddlesport you have to be focused and disciplined and to train and work hard, having tangible goals of moves, rivers, waterfalls etc makes it very straightforward to measure your progress. I also really love the fact that in paddlesport there are some “veterans” who are still very cutting edge and this gives me hope! If I was a professional footballer, I would be coming to the end of my career, but in paddlesport I feel like I’m just getting started! Without question my biggest source of inspiration are the everyday boaters who just go paddling! I love the weekend warriors who get out Saturday and Sunday without fail, I love the paddlers who can have fun no matter what they are doing whether it is grade 1 or grade 5. I’m also very inspired by the disciplined paddlers who are focused on training and improving and can think creatively. 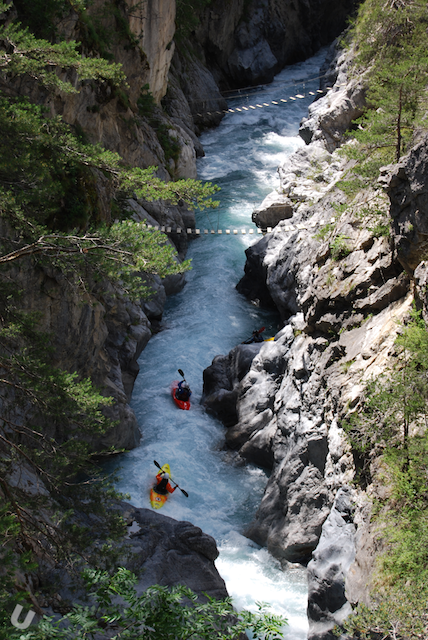 When did you realise that kayaking could be a career for you, and not just a hobby? I think I realised quite early on that in my paddling career that it was possible to work in the outdoors professionally and not to just do it for fun. I also found that this was a great way to get me on the water more regularly too, so it was win win. 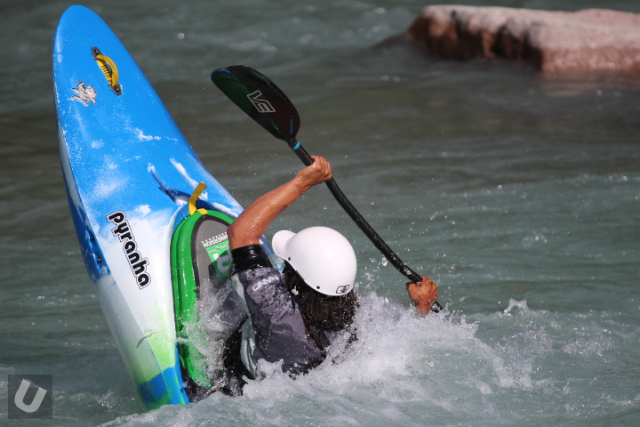 I was very inspired by some high level coaches really early on in my paddling and they showed me how important good training and advice can be. I went on a safety and rescue course when I was 17 and it was the most fun I had ever had without being in my boat. I said that I was going to run that course one day and now I do! 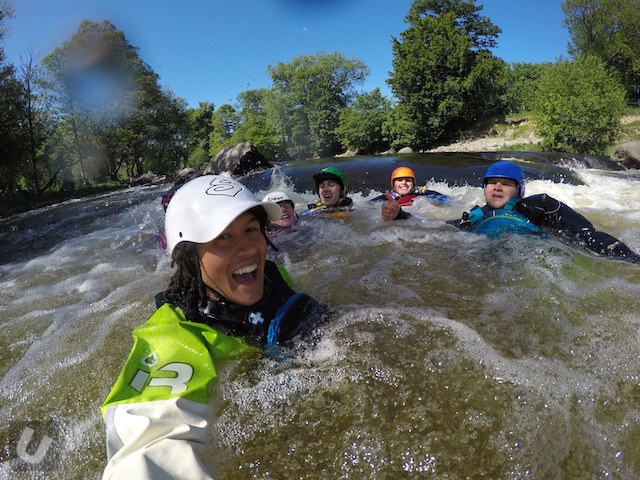 What would you be doing if you weren’t a professional paddlesport coach? Well I was actually heading down a path of studying film and media and I think if I wasn’t doing what I do now, I would probably be into film or photography or even graphic design work. My life basically changed once I started paddling, it would be interesting to know where I would be if I hadn’t taken got involved in it. What does a regular week look like for you? I spend more time at my computer than people think! Throughout the week I have to respond to lots of emails, write up reports from my courses and keep my own admin and accounts in check. 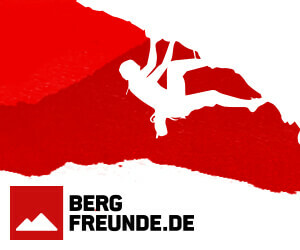 I’m on the water most days of the week running some kind of paddlesport course and I occasionally end up doing mountain based work and rock climbing too. I’m making a real effort not to be a workaholic at the moment, so I’m taking at least an hour a day to do my own thing, whether that is doing some flatwater training near where I live, going climbing, for a run or even just doing some fitness work in my front room. I’m currently in training for sickline so Im quite focused at the moment. So many places! I’m heading out to the Grand Canyon next year, so Im really excited about that and I’m also going to try and get to the Zambesi if I can as that has been a long term goal of mine. I’d also love to do some big sea kayak and canoe trips, I went out to Finland last year and I really keen to get back and explore the wilderness on a multi day trip. Im still in awe every time I watch the Grand Inga Project, that is seriously impressive stuff. For me I think it really raised the bar on so many levels and in particular it is exceptionally well filmed with seriously good production. What is your favourite kayak of all time and why? Tough question! One boat that moved me on so far in my paddling was the Eskimo Zwo. I also think the Inazone was a game changer as was the burn. I spent a lot of years paddling a Nomad and I think the fact that design stood the test of time says a lot about it. The best boat I never owned???? The Liquid logic session. The first time I demoed that boat I hit 18 clean ends! The only problem it didn’t really loop and at the time I wanted to loop so I never got one. I haven’t found anything nicer to use, stronger or more durable than VEs, I really, really rate them. Plus I’ve paddled with zero degree feather for the last 8 years at least, so its really important for me to be able to get something custom made. I use the full carbon cranks but I also have a set of straight glass VE’s with the split joint to allow me to change length and feather for my clients when they want to try something a bit more upmarket. Immersion research rules the roost here, the best suits, cags and decks around. 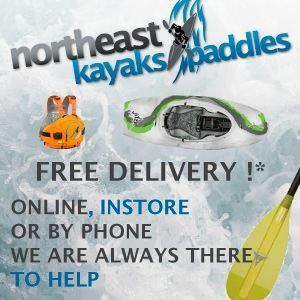 Chris would like to thank Pyranha kayaks, Immersion Research, VE Paddles and Robin Hood Watersports for making fantastic kit and their continued support. Oh chris you really are an inspiration and good example to the sport! You should be so proud of your achievements.